Bee book teaches kids to be kind to bees. If you’re a parent, grandparent, aunt, uncle or teacher, then you’re in a great position to teach children about bees. And teaching kids about bees offers a great way to teach them about taking care of the environment as well. 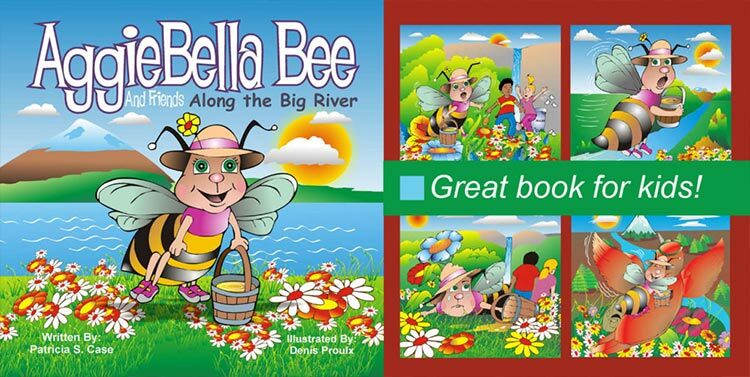 AggieBella Bee and Friends, Along the Big River, is a terrific tool for teaching these lessons to children aged 3 to 6. The story itself is delightful, and kids will love the vividly-colored illustrations. 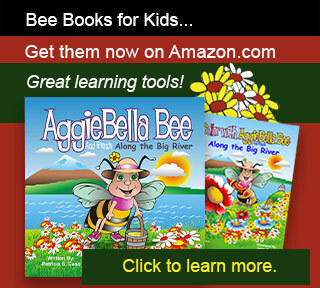 The book is a picture book about a honey bee named AggieBella Bee. It features an adorable bee with human characteristics, who has number of adventures and challenges in her search for food. 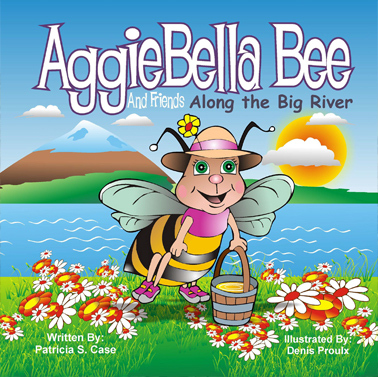 The story starts out when AggieBella decides to explore a very beautiful place. She stops at many flowers along the way, and collects pollen to bring back to her hive. Along the way, she runs into some children who are throwing trash, which is very upsetting to her. And so, she flies down to tell them to stop it. After a full day of collecting pollen, AggieBella Bee ends up losing track of time and getting too tired to fly home on her own. A hummingbird named Rufus Ruffles saves the day with his offer to help. The setting for this bee book takes place in a very beautiful place in Oregon, near the small town of Hood River, in a scenic area known as the Columbia River Gorge. If you’re looking for a bee book that teaches kids to like bees, then this is the book for you. It also teaches children to do things in ways that won’t hurt bees. For instance, as part of the story, it teaches them not to throw trash around or to stomp on flowers.